A man addicted to cannabis has been found guilty of beating his girlfriend to death before chopping up her body and flushing parts of her down the toilet. 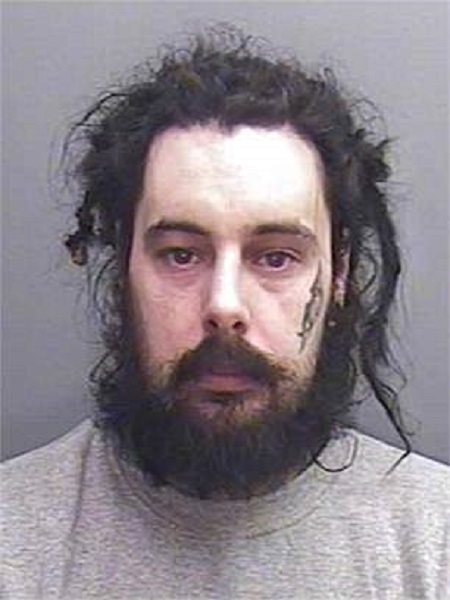 According to Dailymail, the man identified as Dean Lowe - who called himself 'the biggest stoner in the world' - killed Kirby Noden, 32, with a rock and a metal pole at their flat Marazion, Cornwall, before cutting up her remains, putting bits in a wheelie bin and flushing others away. Court details revealed that he also made a necklace out of her teeth - but it took four months after the brutal attack for anyone to realise something had happened to his victim. Lowe, 33, denied one count of murder and maintained that Miss Noden was still alive and living in South Africa. But a jury at Truro Crown Court - some of whom were left in tears by the distrubing cases - today found Lowe guilty of murder. Prosecutor Paul Dunkels QC had told how Lowe got rid of his partner's body 'so nothing has been found apart from her blood'. 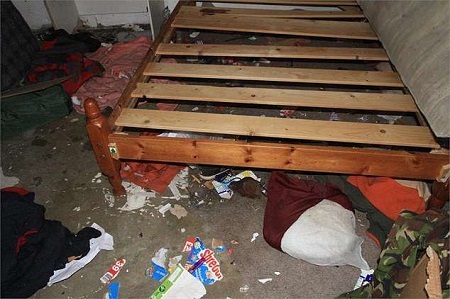 The victim's blood was found on the weapons used to murder her, as well as being spattered around the flat and soaked into a mattress. After his apparent confession, the family contacted police who went to the flat and found Ms Noden's blood. Lowe later claimed that Ms Noden left him after an argument about her cheating on him with an old friend. The court has heard that the couple had lived together for a number of years. Originally from Winsford, Cheshire, they moved to south-west England and lived in Torquay, Devon, and Launceston, Cornwall, before moving to Marazion. The court heard that they lived 'a chaotic lifestyle marked by the use of various illegal drugs'. Lowe will be sentenced at Exeter Crown Court next week. Speaking after the verdict, Detective Inspector Ian Ringrose said: 'On the evening of 18th May 2017 officers found Lowe at the courtyard flat and, due to what he told them and the scene that they discovered, they arrested him on suspicion of Kirby's Murder. 'Lowe had made certain disclosures in the Facebook messages and to the arresting officer to suggest that he had killed Kirby, disarticulated her body and disposed of her remains. DeI Ringrose added: 'The forensic examination of the scenes supported this and that there had been a sustained attack on Kirby and that Lowe was the person responsible for that assault. 'He subsequently denied those admissions and pleaded not guilty to murder. 'This has been an extensive and complex investigation which has been necessary to prove that Lowe is responsible for Kirby's death, disprove his various explanations as to why Kirby could not be found and in parallel, because we have been unable to find any of Kirby's remains, a complex investigation to prove that Kirby is no longer alive. This has required extensive nationwide and International enquiries. 'Miss Noden's family have been put through a living hell with Lowe not disclosing where he disposed of Kirby's body and denying all knowledge in court.. Lowe added to their upset by insisting that Kirby was still alive. Kathy Taylor, from the CPS, said: 'This case demonstrates that through detailed investigation it is possible to prove a murder has taken place, even when the body of the deceased has not been found. 'Dean Lowe denied that he had killed Kirby, claiming she was still alive and had married another man. The CPS was able to present evidence to the jury which proved he was responsible for her death.